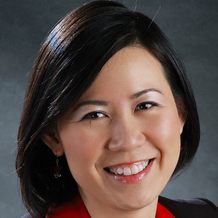 Angeline Tang assumed the position of Regional Director, Leisure & Partnerships, Asia, for Avis Budget Group, based in Singapore in July 2015. She is responsible for the Outbound Leisure Travel from Asia, with the establishment of a Leisure Travel & Partnerships team in Asia. Her primary focus is on Intermediary Leisure, Travel and Partnerships channels including General Sales Agents (GSAs) territories, providing leadership and direction to the teams. She develops strategies and initiates activities to grow incremental revenues through strong and successful relationships within the Travel and Partnership arenas. Angeline joined Avis Budget Group from Relais & Châteaux where she held the post of Director of Sales, Asia Pacific, and was responsible for developing the brand, relationships and marketing plans in Asia Pacific, as well as delivering sales revenues. Prior to that, she held marketing and commercial roles at LesConcierges, Inc., Atout France, TQ3 Travel Solutions and Singapore Tourism Board, where she held different positions that included 3½ years in Paris, France. Angeline has been acquainted with the travel, tourism and hospitality industry as early as during her university days.